People Magazine reports that the second season of “Making a Murderer” will be coming to Netflix in late 2017, with an exact date to be determined. Indeed, even though series creators Moira Demos and Laura Ricciardi are currently filming in Wisconsin’s Manitowoc County, only a small number of people at Netflix know exactly what the second season will be about, according to the article. 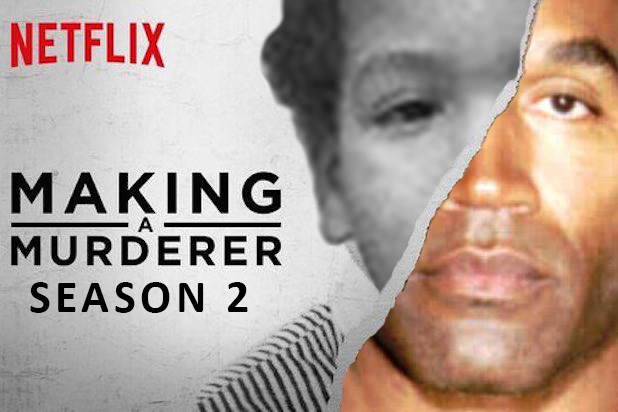 However, WIMJ TV in Milwaukee reports that the second season will continue the story covered in season one of Steven Avery, a local resident who, along with his nephew Brendan Dassey, was convicted of the murder of Teresa Halbach that took place in 2005. Season two will cover the post-conviction appeals of Avery and Dassey. Dassey was ordered to be released by an appeals judge who tossed his confession in November 2016, but the release is being blocked by prosecutors who are currently appealing. The first season of ‘Making a Murderer; was filmed over a ten-year period, exploring the life of Steven Avery. Avery was convicted and jailed in 1985 for murder and sexual assault but was exonerated with DNA evidence in 2003. Avery subsequently filed a $36 million lawsuit against Manitowoc County, as well as its sheriff and district attorney in 2005. While the civil suit was ongoing, Avery was arrested for the murder of a local photographer named Teresa Halbach, Based on forensic evidence, he was convicted on the charges of first-degree murder and illegal possession of a firearm. Avery is currently serving a life sentence without the possibility of parole. “Making a Murderer” covered the arrest, trial, and conviction of Avery for the Halback murder, taking note of the unusual circumstances of the case. The series explored the possibility that the forensic evidence that convicted Avery a second time was planted, possibly to put him back in prison to derail the civil suit. The first season also covered the arrest, trial, and conviction of Dassey along with accusations that his confession had been coerced. Reaction to season one of “Making a Murderer” was decidedly mixed. The series was generally praised by critics, though some suggested that it was one-sided and manipulative. Some, including people who appeared in the documentary series, have suggested that key evidence from the trial was omitted from the series, something the filmmakers deny. Nevertheless, “Making a Murderer” won a number of prime-time Emmy awards, including Best Documentary for a Nonfiction Series and Best Directing and Best Writing for a Nonfiction Series. The series also sparked a campaign for Avery and Dassey to receive a presidential pardon, something that now former President Barack Obama declined to do, since he lacked the power to do so in a state criminal case.